During the holiday season, decorating is often part of the fun. But once you go outside, a simple chore can turn difficult or even dangerous. Let us manage the ladders and scaffolding, the clips and wires, the snow and cold. We provide professional installation of quality outdoor lights and holiday decorations. Our displays are full, balanced and complete. 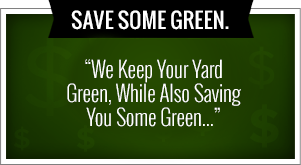 Whether you want to dress up your home or business, Green Leaf Lawn can help. Our trained staff will take care of all the outdoor details, using secure but non-permanent fastening methods. This gives you more family time at home, saves your employees unnecessary risk at work, and protects you from potential injury and liability. Your place will stand out and bring some extra warmth to the season. Our services include: creative installation of exterior lights, decorations such as reads, garlands and bows, dramatic lighting of trees, shrubs and borders, takedown, packing and storing. We are experts at Tulsa Holiday Lighting Installation. If you and your family are wanting the very best simply give us a call at 918-640-6405. We will be sure to take care of you and give you the service you’re looking for this holiday season. Property owners as well as homeowners know how important appearances are, especially when it comes to the grounds of your property. First impressions of your property, be it a business or home, start before visitors enter your front door. An orderly, well-manicured site conveys a respectable image, creates a welcoming atmosphere for clients and visitors and provides a peaceful, calming environment for those who reside. Well maintained grounds are not only aesthetically pleasing, but provide your property with a positive image. Manicured properties have tremendous marketing potential, attracting customers, and tenants. If you are needing expert lawn care in the Tulsa, Oklahoma area, we hope that you’ll trust the experts at Green Leaf Lawn. We are dedicated to providing quality service to the people of this great city. 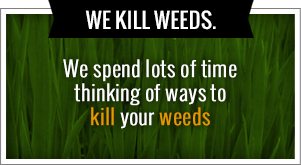 Check us out online today at www.greenleafweedcontrol.com for more information about our company. Whether you have a residential or commercial property, your trees need regular attention to stay healthy. Fertilization helps younger trees grow strong, and protects mature trees against disease. Our certified arborists will evaluate soil conditions, neighboring plants and other factors to design a complete care plan for your trees, from the deepest roots to the highest branches. Green Leaf Lawn provides plant health care programs tailored for each location. After evaluating the trees and plants on your property, we will make recommendations for an appropriate level of care. Then we will work with you to custom design a program that best meets your needs. A typical program consists of five inspections throughout the year, with treatments made at additional cost when necessary. Fertilization and tree care services include: landscaping management plans, tree and shrub trimming, tree and shrub fertilization, and so much more. Green Leaf Lawn Service offers lawn care packages to fit your needs. Whether you are looking for a green, thick & weed free turf all season or just want a one-time visit for some assistance. In addition to synthetic fertilizers & herbicides we are proud to offer a complete complete programs and take care of all of your weed needs. We want your lawn to look more beautiful than ever and see your turf be some of the best in the neighborhood and around the city of Tulsa, Oklahoma.. We are striving to educate people on the benefits of organic care & hope it will become our most widely used program in years to come. The goal for the design team at Green Leaf Lawn is to create an innovative design that will fit each site’s architecture and natural environment; that satisfy clients needs for beautiful and functional outdoor spaces; and that exceed the clients dreams for their landscape project. Green Leaf Lawn has the capabilities to complete landscape plans for a vast range of projects. We use a team approach to evaluate, plan and design all projects to the customer’s specifications. Maintaining your home or business environment is an important part of total landscape care. Our maintenance crews are geared for efficient delivery of skilled service when it comes to lawns, pruning, plant care, seasonal clean-ups, etc. Services can be provided on a weekly, monthly or one time basis. Our maintenance account manager is available to assist you in creating your program. Has never been easier than it is with Green Leaf Lawn, founded by Jamie Nix and Josh Mathias. They are devoted to their craft providing the people of Tulsa with expert lawnchair on a daily basis. We are responsible company that believes in providing expert service to the people of Tulsa. We also give back to the community by donating five dollars to the school district of choice through our “Cutting for the Kids” program. It’s a great way to make Tulsa and more beautiful city and help the children in our area gain access to better education systems.